Often with numerous insect inclusions, this variety of amber is more fragile than that of the Baltic, coming from sunnier regions. 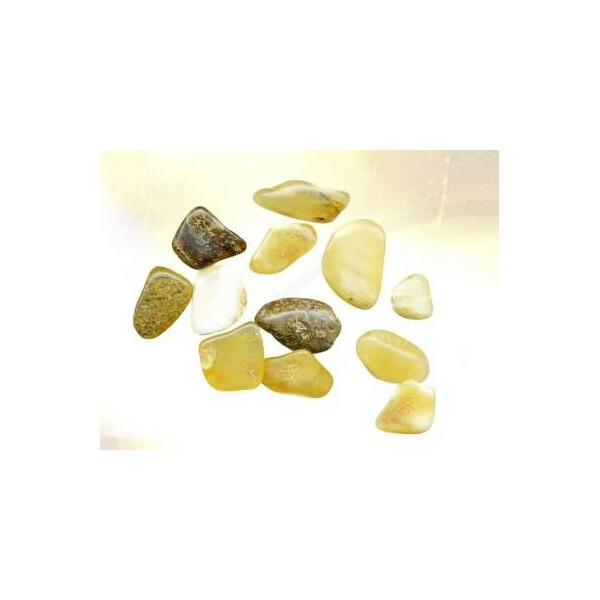 This amber is very active on the solar plexus, for harmonizing digestive troubles caused by stress, fatigue. It is effective in the cases of angina, pharyngitis, and bronchitis.